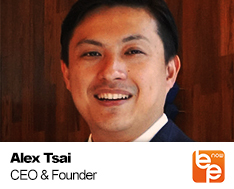 Born in Taiwan, Alex spent his early childhood in Taiwan before coming to Japan. He has worked at Rakuten, Inc. developing communication app and working on contents production, then after 6 years, Alex went independent and established Alex Hotels & Resorts. He is also a developer of artiﬁcial intelligence.